Last September, Habitat for Humanity Saint Louis welcomed a new AmeriCorps member, Jenny, to the team. After a year of hard work and service, Jenny shared her experience about working with Habitat Saint Louis. HABITAT: What made you decide to join the AmeriCorps, and more specifically, why did you choose Habitat for Humanity Saint Louis? Jenny: AmeriCorps was something new to me. I was actually making a move to the area and was looking for a change in professions. After some searching in the area for positions in non-profit I came across AmeriCorps. I needed to do a bit of research on what AmeriCorps was and in that process found a position at Habitat Saint Louis. It sounded like a great opportunity for something new! HABITAT: Have you ever volunteered with Habitat for Humanity before your AmeriCorps service? Jenny: I have never volunteered with Habitat anywhere before but had always wanted to have the experience. 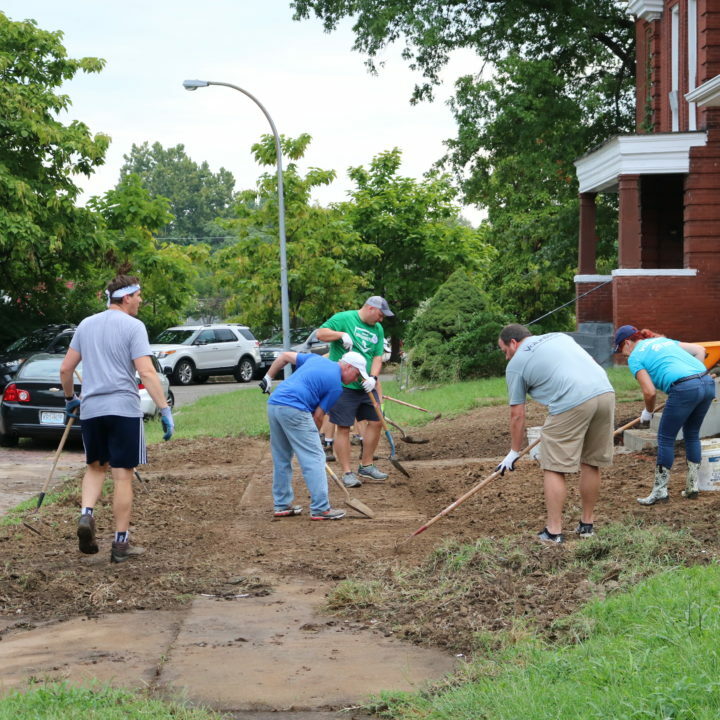 HABITAT: What was one of the most challenging experiences you faced during your service with Habitat Saint Louis? Jenny: I would have to say the biggest challenge was doing tasks that I never thought I could do. I came to Habitat STL with no construction experience. It took time to learn how the construction site operates and to feel confident that I was capable of any of the tasks at hand. I also wanted to make sure tasks were done correctly. For example, I was asked to cut some 2×4 material that was overhanging in the stairwell with a reciprocating saw. The challenge for me was doing so without cutting a floor joist (very important not to cut!) while also being on a ladder. I tried to let someone more experienced handle the tasks but they challenged to do it myself, and I did! It can be easy to get in your own way when trying something new. 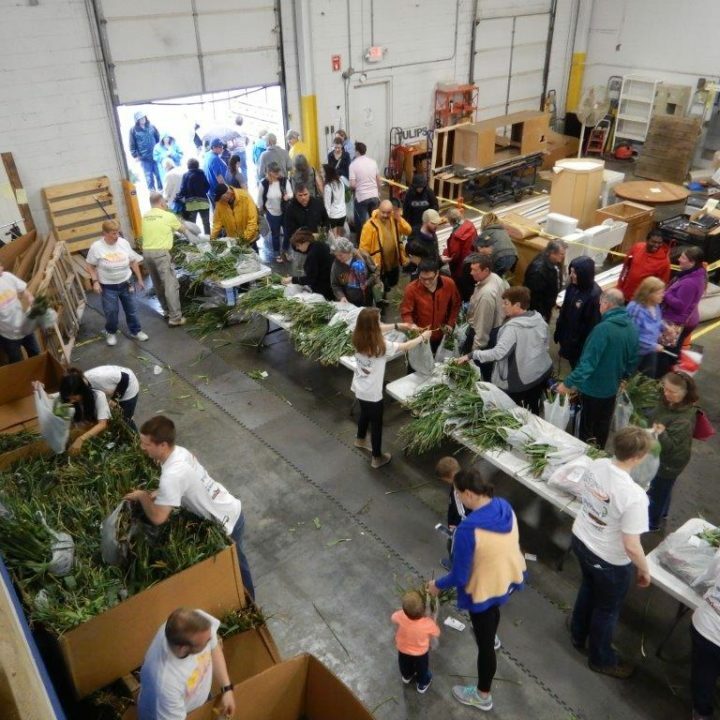 HABITAT: What was one of the most rewarding experiences you faced? Jenny: I would have to say the most rewarding experience was having a family build day at Fox Haven. I was able to have my family come out and enjoy the Habitat experience. The best part was they got to work alongside our homebuyer. It was important to me that they met her, got to know her, and worked alongside her that day. They loved hearing her story and valued being able to work on the house for her family. They still asked how she is doing and hope that the baseboards and flooring they installed are still holding up! HABITAT: What will you miss the most about being active on the build site? Jenny: I am really going to miss the awesome volunteers that I had the pleasure of getting to know and learn from onsite every day! It was fun to both teach and learn from our volunteers and share in their experience of Habitat. I plan on continuing to volunteer when I can so hopefully I won’t miss it too much! 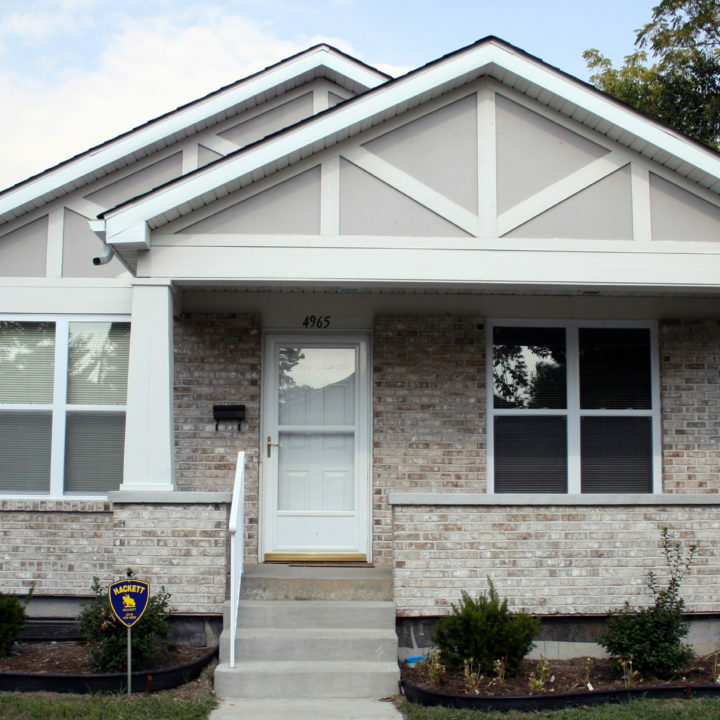 HABITAT: What advice would you give to future AmeriCorps volunteers with Habitat Saint Louis? Jenny: My best piece of advice is to be an open book. There is so much information and skills to learn if you really want to. That also applies to all the volunteers and staff that you will work with as well. Everyone has something to share and it will truly make a difference in your experience if you make the time to listen. HABITAT: What role did your tenure as an AmeriCorp volunteer play in your professional development? Jenny: This experience was very important to my development, both personally and professionally. AmeriCorps gave me the opportunity to try something totally different than I’ve ever done before. But it also offered an opportunity to apply the skills I did have in a very different setting. This experience also opened my frame of thinking and the possibility of how to use the skills I learned on the job site in any area of my life. I think this experience of also giving my time and service is something everyone should take advantage of at some time in their professional journey. Jenny: As my term was coming to an end I was really hoping to find a way to continue working with Habitat Saint Louis. I really considered a 2nd term with AmeriCorps as well. Luckily, there was a position open in the Family Services Department. After some discussion with staff it looked like a great fit for me and the previous experiences I had had before AmeriCorps. 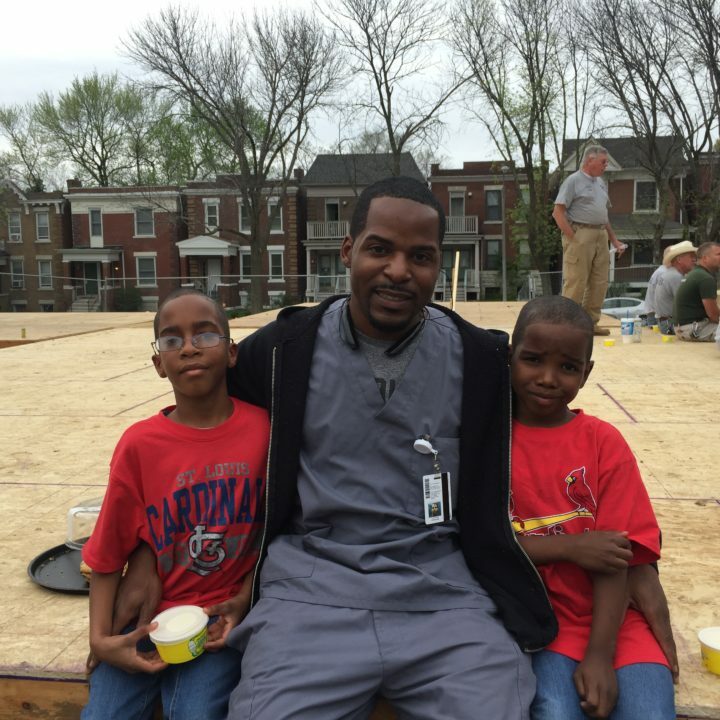 I started in August and am well on my way to learning more about the wonderful families that we are able to help through our mission at Habitat for Humanity Saint Louis.